From the home and the car, to the office and beyond, HARMAN is creating a connected ecosystem of tailored, custom life-enhancing solutions; combining unforgettable products into a single, integrated ecosystem that goes everywhere you do. Reflecting back on CES 2018, HARMAN pushed boundaries of innovation, enabling next-level human experiences for today, tomorrow and the future. With an array of new connected products and solutions for automakers, consumers and enterprises, this year’s showcase focused on technologies that enable unique, smart, easy and rich experiences. In case you missed our new solutions designed to shape the future of in-car experience at this year’s show, catch a glimpse and get up-to-speed by watching the below compelling videos. With decades of experience in creating superior connected products, HARMAN is focused on delivering technologies that are integrated into a single ecosystem. Check out this video from CES 2018, showing where this ecosystem starts – the home. connected lifestyles for passengers, HARMAN is improving the in-car experience for drivers and passengers with its scalable Digital Cockpit. Learn how we’ve created a more intuitive system for the driver and a more entertaining one for the passenger with an instrument cluster and central console via QLED Automotive displays. The car of the future can’t get on the road without first innovating the modern car of today. 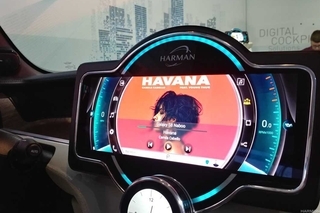 That’s why HARMAN’s approach to the overall user experience within the car requires meticulous consideration of visual, haptic, and graphic design. Learn how a single hardware platform can be scaled to meet the needs of high end vehicles as well as mid and entry level solutions in this video featuring Rashmi Rao, Senior Director, Advanced Systems and User Experience of HARMAN in this video here. With a focus on staying one step ahead of the industry and the future of mobility, HARMAN and Samsung’s industry-first 5G-ready automotive solution and multi-band conformal antenna enables secure, fast and reliable data communications. The solution consists of a telematics control unit with a modular design accommodating a network access device (NAD) supporting LTE CAT 16 connectivity today and 5G in the future. The future is connected and autonomous. Building an autonomous platform requires close collaboration across industries, as one company cannot deliver on this enormous opportunity alone. Acting on this demand, HARMAN and Samsung unveiled DRVLine, an open, end-to-end autonomous vehicle platform. The DRVLINE platform with its open and high-level computing capability is a first major first step toward building an ecosystem to support full automotive autonomy. As autonomy on the road becomes commonplace, consumers will look to personalization when purchasing their next vehicle. 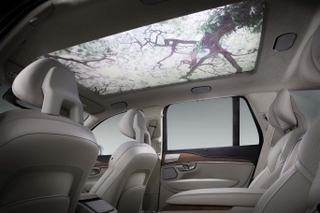 Responding to this development, automakers are placing an increasing emphasis on the vehicle’s interior as a place for reflection and focus as an answer to a growing consumer interest in optimizing their wellness and lifestyle. At CES 2018, HARMAN unveiled Moodscape, a platform that uses mood-based features to redefine comfort and entertainment during a passenger’s daily commute. Learn more about the UX solution. HARMAN is proud to connect user experience design and acoustics, allowing automakers to differentiate their brands through highly personalized, passenger-centric solutions that redefine the in-vehicle experience. AudioworX, our new open audio platform ushers in the software-centric era in car audio and enables a broad community of developers to deliver differentiating, technology-fueled in-car experiences for all vehicle segments. Learn how the platform is opening up the world of lifestyle audio to the creativity of all OEMs, audio engineers and enthusiasts alike here. Some of the most visionary inventions of today were conceived by looking at tomorrow’s innovations. With this thought in mind, another exciting reveal on the CES 2018 show-floor was the Rinspeed SNAP. The visionary concept car provides a seamless user experience no matter the occupant of the vehicle. Setup like a skateboard and pod, the SNAP chassis pulls high-mileage duty while the pod functions as a detachable user environment. HARMAN’s Connected Car Product Marketing Manager, Heather Hussin, discussed our partnership with Rinspeed in powering the future of the connected car experience here. Lastly, the sharing economy shows no sign of slowing down, and car ownership trends will continue to shift. 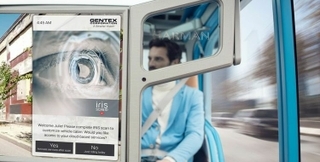 Consumers, however, continue to demand seamless connectivity and in-vehicle personalization. Targeted towards shared fleet organizations, HARMAN’s proprietary, software-based Configurable Entertainment solution allows shared mobility providers to offer multiple in-car brand and entertainment experiences through a singular in-vehicle hardware. Explore the future of travel in our last video of this series here. Together with Samsung, HARMAN is bridging connected ecosystems to deliver the most intuitive and immersive interactions with technology, whether at home, in the car or on the go. Discover more on HARMAN’s debuts at this year’s CES by viewing the 2018 media kit. For a deeper look at the exciting inventions we announced this year at CES, checkout our CES 2018 YouTube Playlist.